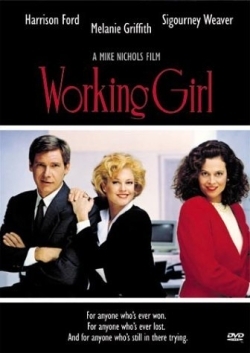 As I read RULEBREAKER, the film WORKING GIRL came to mind because of Liv’s “working girl” status and the cutthroat corporate environment she’s trying to infiltrate. So it kinda sorta seemed like a futuristic WORKING GIRL, except for the fact that the Sigourney Weaver boss lady is the love interest. Hmm, can you tell I’m a fan of WORKING GIRL? At any rate, the stories are very different but I sensed a common theme between them. So if you, too, are a fan of WORKING GIRL, you might be interested in RULEBREAKER. If you enjoy stories with a redemption arc, RULEBREAKER has it. If you like colorful secondary characters, this story has it. And finally, if you’re even a fan of COLUMBO-style investigators, then this story has that, too. The Galaxy Express: Please tell us about yourself. What inspired your interest in not only reading science fiction romance, but writing it? Cathy Pegau: I am a relative late-comer to science fiction romance. I’ve read science fiction and fantasy for years and years, and finally realized that I got most excited about a story when there was a relationship blooming. And most disappointed when nothing really came of it. To discover that there were books out there that carried the relationship forward made my SFF-loving heart very happy. As for writing, I’d started with fantasy, which turned into fantasy romances. While pondering a paranormal, I got the idea for a science fiction story. The fact it was a romance didn’t throw me, the fact it was a romance between two women had me blinking at my muse. But it felt right, so I went with it. TGE: How many rules were broken in the writing of RULEBREAKER? CP: By me or Liv? I only broke a few writing rules. Romance in first person? Check. Couple not meeting on page one? Check. Liv, on the other hand, is dang good at breaking rules, her own as well as society’s. TGE: Without going into spoilers, what can you tell us about the setting of the story? TGE: Heroine Liv Braxton is a thief. What kind of, ahem, research did you do to ensure she came across as an authentic one? CP: Being a thief takes more guts and moral ambiguity than I have. Not that I’m any kind of saint :) It’s a lot safer to be a thief on the page, that’s for sure. I watched all kinds of shows (fiction and non-fiction) on thieves and gangs, and read up on cons and con artists. Fun stuff. I love research. Writing a less-than-law-abiding character is quite a thrill, without the risk of an arrest or conviction record. TGE: Describe a day in the life of your other heroine, Zia Talbot. CP: Poor Zia is a workaholic. As VP of Research and Development for Exeter Mining, she is in the office early and leaves late with hours of work yet to do at home. Conferring with her engineers, worrying about fiscal reorganization that yanks funding from her department, overseeing…ahem...*special* projects, take up most of the 26 hour day. Prior to having Liv fall into her life, Zia focused on her career and has stressed over the situation at Exeter (no more details than that…Read the story!). But all work and no play makes her a very unhappy woman. Cranky, even. Good thing Liv came along. Well, except for the fact—. Oops. Just read it. TGE: How would you describe the heat level for this story? CP: Sensual. There’s a good amount of sexual tension between Liv and Zia (and a little between Liv and her ex, Tonio, but obviously this isn’t his story ;). I don’t use graphic language but I don’t close the door either. TGE: Did you face any particular challenges with RULEBREAKER, either writing it or submitting it to publishers? TGE: What are a few of your favorite science fiction romance books, films, and/or television shows? CP: Hang on, I need to check my shelves….OK. Kristin Landon’s Hidden Worlds trilogy, though the romance isn’t the end-all-and-be-all of the books. Catherine Asaro, Gini Koch’s Aliens series. 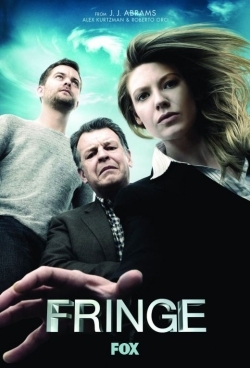 My favorite SFR television shows are ones where the romance grew later or was on the periphery, X-Files, Fringe, Battlestar Galactica. Ms. Pegau, thanks so much for your time, and for your art (not to mention those mischievous heroines of yours! ).